At the heart of it, you want to discover how to access your inner wisdom, create the future you want, and make a difference in your life and others’ with Tarot as your guide. Whether you’re looking to read for yourself, for friends or family members, or for paying clients. As people who read Tarot, we want to help. We want to give people new insight into their situation. We want everyone we read for to have lives brimming with peace, possibility, and prosperity. Most people read Tarot as a party trick. Let’s face it: many people who read Tarot cards do it purely for fun. There’s certainly nothing wrong with this approach. I believe Tarot should be fun. And I’ve had my moments of showing off my Tarot party trick, too. But this only scratches the surface of what Tarot can be. THE TRUTH IS, TAROT CAN BE A FAR MORE POWERFUL AND LIFE-CHANGING TOOL, FOR PEOPLE WHO WANT TO MAKE THEIR LIVES BETTER. It’s a tool for reflection. It’s a tool for decision-making. It’s a tool for proactively creating a life you want. At Biddy Tarot, we’re here to raise the bar. It’s time for more people who read Tarot to own the power and everyday magic at their fingertips, every time you do a reading. It’s time for a higher standard for the world of Tarot. And it’s time for people who read Tarot cards to blow the doors off the old party trick… and show the world what’s possible when you listen for new answers to life’s questions. Tarot is so much more than a party trick. It’s about stepping into your role as a trusted advisor to the people you read for. THIS IS THE NEW TAROT REVOLUTION – AND YOU’RE INVITED! The Biddy Tarot Certification Program is an all-inclusive, online training and certification program that teaches everything you need to know about how to read Tarot with confidence. Whether you’re on a journey of self-discovery and want to learn to read Tarot for yourself, or you’re ready to share your intuitive gifts with others, the Biddy Tarot Certification Program will challenge you to take your Tarot reading skills to the next level. It’s designed to help you access your inner wisdom, increase your confidence, and become a trusted Tarot advisor. Our one-of-a-kind certification goes way beyond other Tarot courses and programs – it offers a complete approach to Tarot that quickly develops your competence and skill. While you’re learning, you’ll give real life Tarot readings for all kinds of people… and while you’re giving Tarot readings for people, you’ll learn things about Tarot that can’t be learned through study alone. That’s the Biddy Tarot Certification difference. So by the time you apply for certification, not only will you possess a deep and practical understanding of the stories, symbols, and systems in the Tarot deck… you’ll also have the real world tools and skills to accurately read for anyone, anytime. A respected leader in the Tarot industry, Biddy Tarot serves over 5 million visitors to the website every year and is the #1 Tarot resource online. We’re on a mission to improve the standards, professionalism and reputation of the entire Tarot industry. Because Biddy Tarot is an Approved Training Provider with the International Institute of Complementary Therapies, you can rest assured that every part of this training program meets a very high level of integrity and is endorsed by an internationally recognised organisation. You’ve been reading Tarot cards for a while. Maybe you’re self-taught, and you feel like there are a few gaps. You want a complete, start-to-finish understanding of the Tarot so your readings get even better. You read for friends and family for free, but lately you’ve been curious about receiving payment for more of your readings. You want to make sure you offer credible, professional, quality readings that go above and beyond your clients’ expectations. You already charge for readings, but want to stand out from the crowd and get more clients. You want to receive premium rates for your service and have clients treat you as their trusted advisor. On the surface, this is an online certification program complete with training, support, and real-life practice designed to help you learn to read Tarot for yourself and others. The Master the Tarot Card Meanings course is designed to walk you through the meanings of each of the 78 cards in the Tarot deck, plus teach you the simple yet powerful techniques to interpret the cards with meaning and accuracy. I’ll also guide you in how to create a personal and intuitive connection with symbols in a Tarot deck, making it easier for you to interpret the cards — in your own way — with more impact. 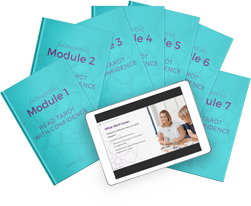 The Read the Tarot with Confidence course is designed to teach you how to read Tarot for yourself and others in a compelling, meaningful way that makes a real impact and inspires positive transformation. Learn how to prepare for remarkable readings, choose the right spread, trust your intuition and more. Exclusive opportunity for you to give Free Tarot Readings to the public, in exchange for feedback and experience. This is, by far, the best way to apply what you’ve learned, develop your skills and expertise, and boost your confidence quickly. A twelve-month membership to the Biddy Tarot Community; a welcoming, friendly place where you can talk with other like-minded people who read Tarot and access even more Tarot masterclasses, tools, and resources. You’ll never be alone in this Tarot journey again! Monthly Tarot Open Office Hours for you to ask questions about your Tarot readings, practice and coursework, and get on-the-spot answers from me – Brigit, Founder of Biddy Tarot. This is one of the only ways to get direct coaching and support from me. Attend the live sessions or watch the replay later. Get access to our 3 most popular digital Tarot guides – The Ultimate Guide to Tarot Card Meanings, Tarot Foundations: 31 Days to Read Tarot with Confidence, and the Tarot Card Meanings Workbook – to deepen your Tarot knowledge even more! Plus, you can also opt to receive a physical copy of the course workbooks in the mail when you enroll. 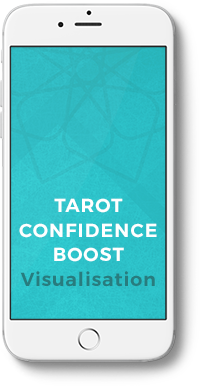 Apply to become a Certified Biddy Tarot Reader and receive personalised feedback, including notes about your Tarot strengths and areas to work on, from a panel of respected professional Tarot experts. If successful, you’ll receive a beautiful certificate in the mail, ready for you to frame, and a listing on the Biddy Tarot Directory. Biddy Tarot Certification is a 14-module start-to-finish training course. You will learn how to master the Tarot card meanings and read the cards with confidence so that you nail every reading, every time. We'll hit the ground running with 3 keys to learning Tarot, starting with your learning intentions and commitments. We'll talk about how to set yourself up for success every time you read Tarot! You'll learn how to master the two fundamental (and easy-to-learn) systems that unlock keys to the Minor Arcana, interpret the Suit of Cups and Pentacles cards and use keyword charts to accelerate your learning. Interpret the Suit of Cups and Pentacles Tarot card meanings – yes, we'll explore every single card together! You'll learn how to decipher the symbolism and tell the story within each Tarot card, connect with the Tarot in just 5 minutes a day, and interpret the Suit of Swords and Wands cards. You'll learn how to demystify the Tarot court cards and never be shocked by 'bad' Tarot cards again. And as an ADDED BONUS, I'm including an extra 60-minute Group Q&A call (recorded). You'll learn how to interpret the Major Arcana cards and connect with these cards through meditation and visualisation. You'll learn how to interpret the final 11 Major Arcana cards, explore the Fool's Journey and interpret reversed Tarot cards for empowering readings. You'll learn how to decipher Tarot card combinations, read the 'flow' between Tarot cards and do an in-depth 2-card Tarot reading. Tap into your natural 'gifts' and intuition... we all have it within us! Now it's time to get clear on what type of Tarot reader you aspire to be and start living your dream of becoming an amazing Tarot reader. You'll learn how to prepare for a Tarot reading and get 'in the zone', ask the best questions and choose the right spread for a most insightful Tarot reading. You'll learn how to tell the story in the cards to create a compelling Tarot reading, use (and trust) your intuition for crystal clear insights and ask for feedback as an opportunity for growth. You'll learn how to avoid the 6 mistakes most people make when reading Tarot for themselves, the 5 techniques to gain personal insight from the Tarot and how to overcome doubts and trust your intuition. 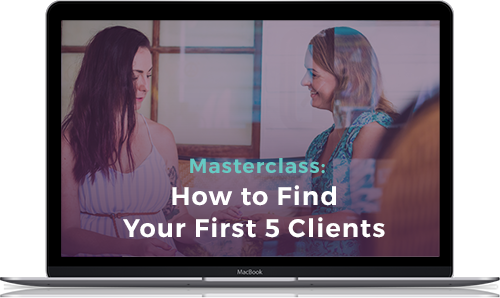 You'll learn how to read Tarot for others, give difficult messages, deal with challenging clients and create your own code of ethics and set personal boundaries that honour both your needs and your clients. Go 'pro' and earn a living doing something you love - reading Tarot! I went into the Program without knowing anything about Tarot. Six months after completing the Program, I can read the Tarot cards with confidence and better yet, I’m now a professional Tarot reader with loyal, happy clients. Amazing! 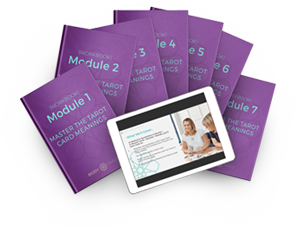 The Biddy Tarot Certification Program is a structured learning program designed to be completed within seven months but you will have access for a full 12 months. This gives you the time and flexibility to study at your own pace. Helping you complete the program and become a Certified Biddy Tarot Reader is our top priority! We actively encourage your participation throughout the program and keep you accountable to get you to the finish line, so you can achieve your dream of becoming a trusted Tarot advisor, in just seven months. If you want to read Tarot for yourself, you’ll feel more confident in being able to trust your intuition and access divine guidance for important life matters, using Tarot as your guide. If you want to read Tarot for others, you’ll have the skills and confidence to position yourself as a trusted Tarot advisor – someone who can share divine wisdom with others and help them to create an inspired life. And, if you want to read Tarot professionally, you’ll add credibility and integrity to your practice, attracting more clients and having an even bigger impact on the people you serve. Meet Brigit! She’s the Founder of Biddy Tarot and the director the Certification Program. She’s been a professional Tarot card reader for more than twenty years, reading for over 10,000 clients worldwide. In 2012, she left a successful corporate career to dedicate herself to Tarot and growing her Tarot business full time. Now, Biddy Tarot is the #1 ranking website for people searching for Tarot card meanings and is visited by over 5 million people every year. 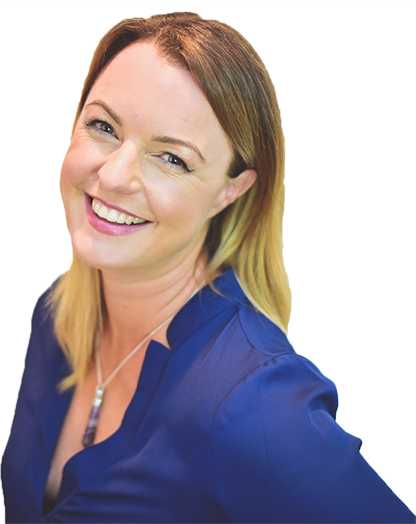 Brigit is a best-selling author, entrepreneur, business coach, and NLP Master Practitioner. In the world of Tarot, she is seen by many as an innovative leader and top expert. She’s also mum to Chloe and Zara, and lives with her family of 4 in Queensland, Australia. When it comes to deepening your intuition and developing your Tarot reading skills, Brigit is the best guide you can have. She’s all about making Tarot a simple, intuitive and fun part of everyday life that anyone can do. And she’s on a mission to bring Tarot out of the closet and into the mainstream, by making it accessible to those who need it most. 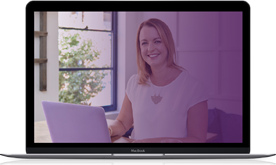 Considered one of the best in the business, Biddy Tarot is an IICT Approved Training Provider, which means our training programs and resources are practical, ethical and highly respected. Thousands of everyday people just like you have taken our classes to dramatically improve their readings. Now it’s your turn! The Certification Program isn’t just an expensive piece of paper. We provide a comprehensive, end-to-end training program, with ongoing support and real-life practice opportunities, as well as certification. While you’re learning Tarot, you’ll have the chance to read for all kinds of people, through our Free Tarot Readings initiative. Gain valuable feedback on every reading you do – and improve your skills and confidence even faster. We’re not a ‘one man band’ – we’re a global team of 15 amazing people who are ready to answer your questions and help you succeed. Plus, you’ll have direct access to me during the monthly live calls, and over 1,000 members inside of the Biddy Tarot Community for group support and encouragement. We’re with you, 100% of the way. Explore the possibility of actually getting paid for your readings! Build your confidence, develop your Tarot reading skills, and stand out from the crowd – Join the Biddy Tarot Certification training! GET END-TO-END TRAINING WITH A RESPECTED LEADER IN THE TAROT INDUSTRY. THE BIDDY TAROT certification program is an all-inclusive program, complete with training, support, and real-life practice designed to help you learn to read Tarot for yourself and others. Biddy Tarot is proud to be an official corporate partner of One Girl’s Business Brains program – giving girls and young women in Sierra Leone access to financial literacy and entrepreneurship training to set themselves up for long-term, sustainable success. In Sierra Leone, up to 80% of the population live in extreme poverty (surviving on less than $2 a day). This prevents many girls from attending school, and with such a high rate of unemployment in the country, even those who do graduate from high school are left with very limited choice for jobs. Working with local organisations, One Girl’s Business Brains program provides business training in conjunction with important life skills – including reproductive and sexual health education – to empower them to work towards greater economic independence. And now, you can be a part of the change too. $25 from every BTCP enrolment is donated to One Girl’s Business Brains program – helping to equip girls and young women in Sierra Leone with truly life-changing skills. Together we’re changing the world, one girl at a time. 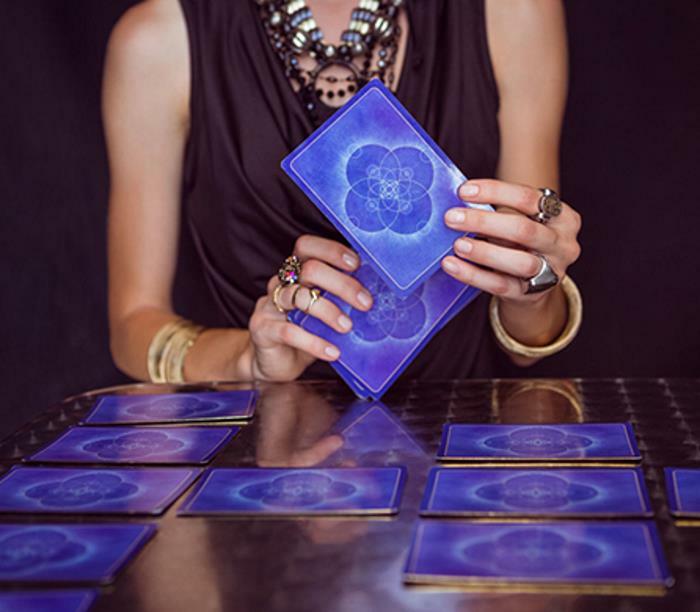 We stand by our products and are passionate about what we offer to aspiring Tarot readers. 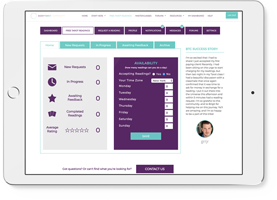 I want you to experience ZERO RISK when choosing me as your coach & teacher. 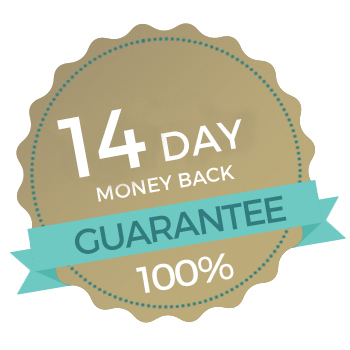 Therefore, I offer a 14-day, no-questions asked, 100% money-back guarantee if you decide the program is not right for you. If you do not get the results you expected, or you feel this course was simply not for you – there’s no hard feelings! Simply send us an email and we will immediately refund your money. There’s nothing to lose. And everything to gain. So take the LEAP! Once you have paid via credit card, you’ll be emailed all the details for accessing the course online. If you can’t find the email, please check your Junk Mail folder or contact the Biddy Tarot team here. If you have paid using the payment plan, your credit card will be billed automatically each month, until the instalments have been fully paid. You’ll also receive access to 1 Module per monthly instalment. IS THE PRICE IN AUD OR USD? I DON'T HAVE A CREDIT CARD. DO YOU ACCEPT PAYPAL? Payments via PayPal are accepted when paying in full. You can access the PayPal order page here. What if I've already taken MTCM and/or RTWC? Previous students of Master the Tarot Card Meanings and/or Read Tarot with Confidence are eligible for a $300 credit when enrolling in the Certification Program. Contact the Biddy team to find out how. Absolutely! That’s what the course is about – to help you build a personal and intuitive connection with the Tarot cards. What better way to get started with learning the Tarot? I’ve included a special “Getting Started” video series especially for Tarot beginners so that you can hit the ground running before we start the formal classes. I also recommend that you take the classes every 2-3 weeks, rather than every week, so you have some more time to get to know the Tarot cards and explore the activities in more depth. There’s no rush! Yes. The techniques I’ll teach are more about interpreting the card than learning the meanings. So while I use the Rider Waite deck for teaching, you can still work just as effectively with other Tarot decks. I ALREADY KNOW HOW TO READ TAROT AND JUST WANT TO BE CERTIFIED. WHY DO I NEED TO TAKE THE TRAINING? Great question. 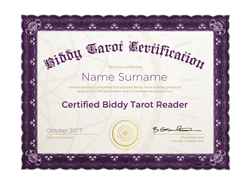 The Biddy Tarot Certification exists to hold Tarot readers to the highest standard in our industry. As the most robust certification program out there, we recommend that you enroll with a ‘beginner’s mind’ and approach your study of Tarot with curiosity and openness. We gain new insights in the Tarot every time we go back to basics. I promise you that you will learn something new to enhance and enrich your practice and ultimately become a better, more sought-after Tarot reader. Yes, this certification is legitimate! Our Tarot courses, which are fully accredited by the International Institute of Complementary Therapists, are grounded, ethical and well respected. The Biddy Tarot Certification Program is complete from end to end with comprehensive training, opportunities to practice reading Tarot for real people and a robust certification process by a panel of respected professional Tarot experts. 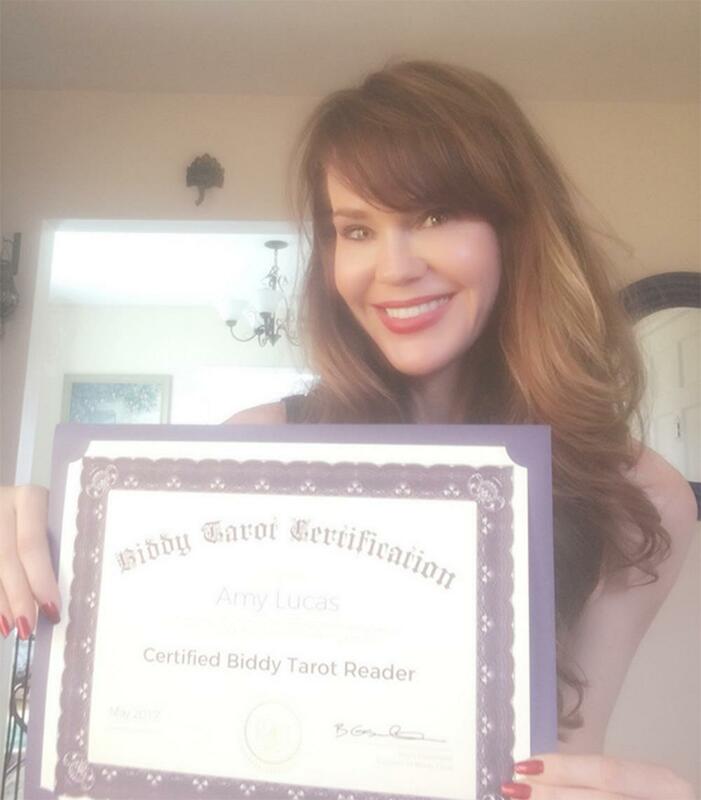 WHAT DOES CERTIFICATION REALLY MEAN, AND WHY SHOULD I BE CERTIFIED BY BIDDY TAROT? There are currently no agencies or organisations that standardise certification specifically for Tarot and most countries do not have laws that license or otherwise regulate the Tarot industry. In light of this, the Biddy Tarot Certification Program does not offer a general Tarot certification and you will not become a Certified Tarot Reader. Instead, upon the successful completion of the Program, you will become a Certified Biddy Tarot Reader and will be recognised as someone who has successfully completed the Biddy Tarot program and has applied the Biddy Tarot methodology. You also have the extra assurance of the high quality of our programs, given that Biddy Tarot is an approved training provider as recognised by the IICT. At the end of the day, this isn’t just about a piece of paper. This is about helping you become a trusted Tarot advisor, and giving you the skills, experience and support to do so. WILL I HAVE ACCESS TO BRIGIT? Each month during the program, you will have access to the Open Office Hours Q&A webinar, where you can ask questions about Tarot fundamentals and issues that come up for you, and get answers straight from Brigit. All of the Open Office webinars will be recorded so you can watch the replays on your own time.